I started writing this post about four years ago, and for some reason, I did not finish it. It was a very angry post, written with a lot of emotions that would have caused you all to wonder if my page was hacked. You may not like the tone of this post but I will simply come out and say it: the abuse many women suffer in relationships is often a result of ill-conceived notions others have projected on to them. Notions that have come from the realities of others, which are now projected as facts rather than the isolated experiences they are. Notions that lead them to believe there is nothing better out there, notions that continually impress on their minds that abuse is a normal way of life, and no one is free from it. Yes sure, there are self-esteem issues to consider and parental patterns that have been imprinted from childhood, but in this post, let’s first discuss the impact other women have on the movement of abuse. There are many women in the world, in this age of enlightenment who indeed believe that abuse is a normal way of life. There are many women who spread notions such as “all men cheat”, “a man can still love you and cheat”, and “learn to avoid speaking up so he does not abuse you.” There are many Christian women who stand in places of influence and indirectly support the abuse of their fellow women. I remember watching a video where a woman had asked a panel of Christian women for advice concerning her marriage where she was the breadwinner and was abused everyday by a husband who was in a drunken state most of the time. One of the female panelists started by asking her if she was watching what she was saying to her husband, because you know, “speaking to him disrespectfully could provoke his anger.” HUH???!!! A woman had just said in the full view of a gathering of women that she was getting hit everyday by her husband and the first point was to address her manner of speaking (via speculation) and proceed to advise her to watch war room and find an older Christian woman to mentor her. I closed the video thinking if that is what young Christian women will get from being mentored by older Christian women, they are better off taking advice from magazines. I tried to imagine the impact the position of this woman on the panel had on many women who were in abusive relationships and present in that gathering. I came to the conclusion that the reason many women accept abuse is not necessarily because they don’t have the strength to leave. It is not because they can’t find their feet afterward. It is because society and the church make it seem as though leaving an abusive relationship is a crime. Many Christian women are quick to spring up and say “God hates divorce” but would not speak up to proclaim that the same God wants his children to be loved and treated with dignity and respect. Many Christian women march in favour of blind submission where their counterparts are exploited and humiliated over and over again. Many Christian women… wait for it… believe indeed that abuse is NORMAL; so normal, that they do not even call it abuse anymore. They call it the authority of the husband, the right of the husband to correct his wife… They say things like “all men cheat. It is just the grace of God that protects us from diseases” (I kid you not, someone said this to me). They consider women who leave abusive situations as rebellious women who are undeserving of support and love. “If she needs help, she should go back to her husband”, they say. WOW… No wonder the tales that touch mostly come from the church (I am not referring to any church in particular). 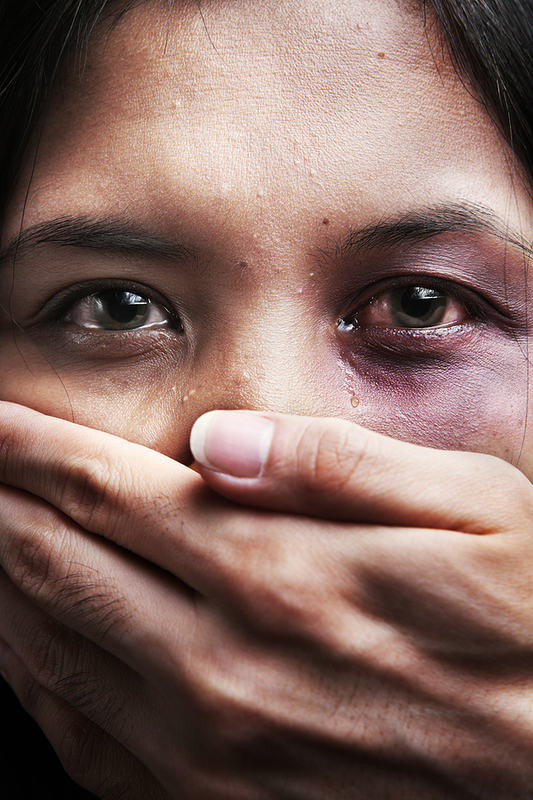 The culture of silence is one many Christian women still seek to protect. The art of appearing ‘picture perfect’ has indeed been perfected so much that any woman who seeks to break the code of conduct by speaking up is seen as a wave that must be silenced, else other women follow her lead. The culture of victim blaming is prevalent. In a bid to appear pious, fellow Christian women will convict an abused sister for her lack of tolerance but will not stand up to the man who broke her spirit. “God sees what I am going through. My reward is in heaven”.